Please click the links below for everything you need to know about making the most of your visit to Hackney Empire. Information on how to find us including transport links. We take the safety and security of all our visitors very seriously. If you’re coming to the venue, please ensure you arrive in plenty of time to pass through our security checks. Our security and Customer Services team are there for your safety. Please cooperate fully with all security checks and support these vital members of our team as they carry out important work to keep us all safe and sound. There will be bag checks in operation at the doors of the venue, no food or drink can be taken into the auditorium from outside the venue. We will not allow large bags into the venue but you will be permitted to take small bags & handbags in with you. If you have to bring a large bag with you, you can leave it at our cloakroom. All bags will be checked before being accepted into cloakroom. The cloakroom closes after the end of the event, so you must collect all items before you leave the venue . The Empire Bar – right next to the theatre – has now reopened [under new management]. The Bar will be serving a great selection of food and drinks wines, spirits and aperitif cocktails, as well as a selection of beers on tap. Explore Hackney Empire using Google Virtual Tour. 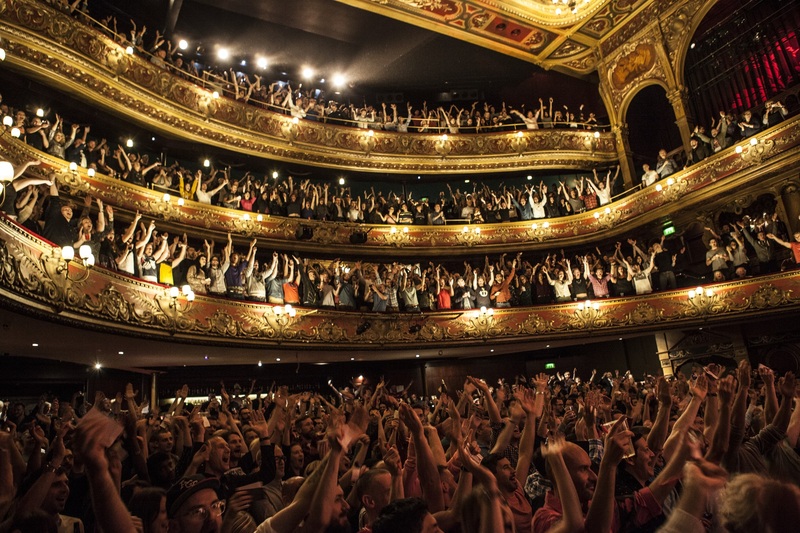 Information about the facilities available at the Hackney Empire for Access users are detailed in the below links available in the Access section.